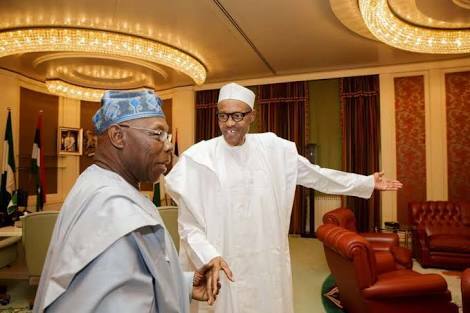 Despite baba Olusegun Obasanjo’s strong opposition to the second term bid of President Muhammadu Buhari, a son of the former President has declared his intention to support Buhari’s re-election bid. Abraham Obasanjo said he was ready to work with the Buhari Campaign Organisation to secure victory for Buhari in next year’s presidential poll, in a letter he wrote to the campaign organisation. That was how Obasanjo's daughter supported GEJ, he still lost. According to The Cable, the spokesman for the Buhari Campaign Organisation, Mr Festus Keyamo (SAN), acknowledged the receipt of Abraham’s letter, which he shared with the media. “Dear Sir, please find attached a statement of my public declaration and support for the 2019 second term re-election bid of our highly esteemed President Buhari. “Please accept my assurances of the highest regards,” Abraham’s letter to the Buhari Campaign Organisation reportedly read. But ex-President Obasanjo’s media aide, Kehinde Akinyemi, when contacted by The Punch, said he was not aware of any letter written by any of his principal’s sons, declaring support for Buhari’s second term bid. “I did not see any letter; so I am not aware of any letter written by anybody,” Akinyemi said.